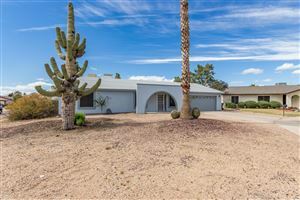 This new listing in Scottsdale at 5454 E Blanche Dr, Scottsdale, AZ 85254 is everything you have been looking for in a home. The listing is not yet on the market. There is a sneak peak open house on Saturday, June 22 from 11-3 and this is the first time the property will be shown. It will officially go on the market and be open to everyone following the open house. So, if you are looking for a completely gorgeous turn key home and want the opportunity to be on the first to see it, then read about it below and come to the open house on Saturday! I look forward to seeing you there! The great room is open to the dining area and there are fabulous vaulted ceilings with new, updated light fixtures and a wall of windows to see the beautiful pool out back. The master bedroom is very spacious with vaulted ceilings and a entry to the back yard. It also features a huge en suite bathroom and giant walk in closet. The master bathroom features double sinks with gorgeous granite counters, a frameless glass shower and wall to ceiling tile. There are many more interior pictures and features than what I’ve posted here. It really is a must see! 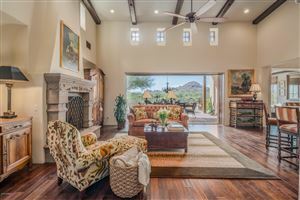 My clients tell me that they love living in the house because they are in between both Kierland Commons and Scottsdale Quarter to the east and the Paradise Valley Mall to the west. They have easy access to the Loop 101 and SR 51, making a commute to either Scottsdale or Phoenix a breeze. It is less than a block to Horizon High School where they often walk to play tennis on the weekends. There are great public parks just north and south of the home on 56th Street. There are great places to bike and are plenty of small, family owned restaurants in the area as well. Additionally, the school district is excellent! They couldn’t think of anything that they didn’t like about living here! If this property interests you, either plan to come to the open house on Saturday, June 22 from 11-3 or contact me directly.